Taking control of your laundry will lighten your load not just in the laundry room, but throughout your whole household! 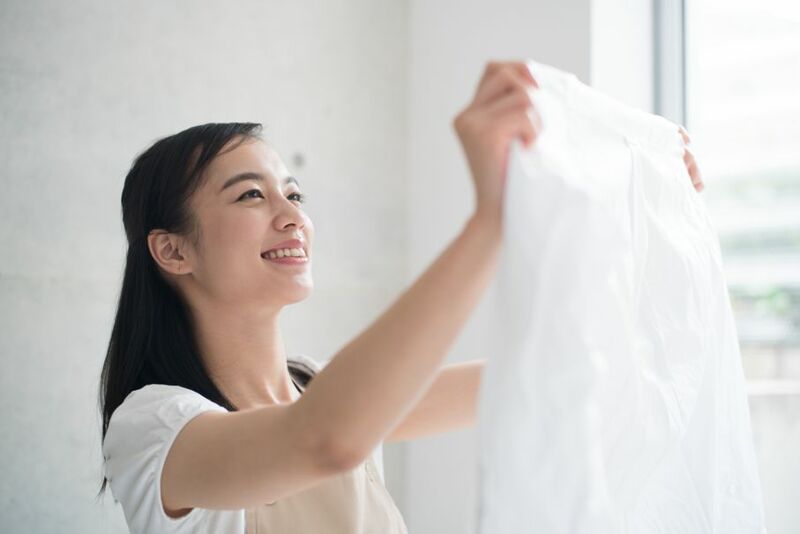 Doing the laundry isn’t the most glamorous activity in the world, but if you find ways to simplify it, you won't be dreading laundry day anymore. 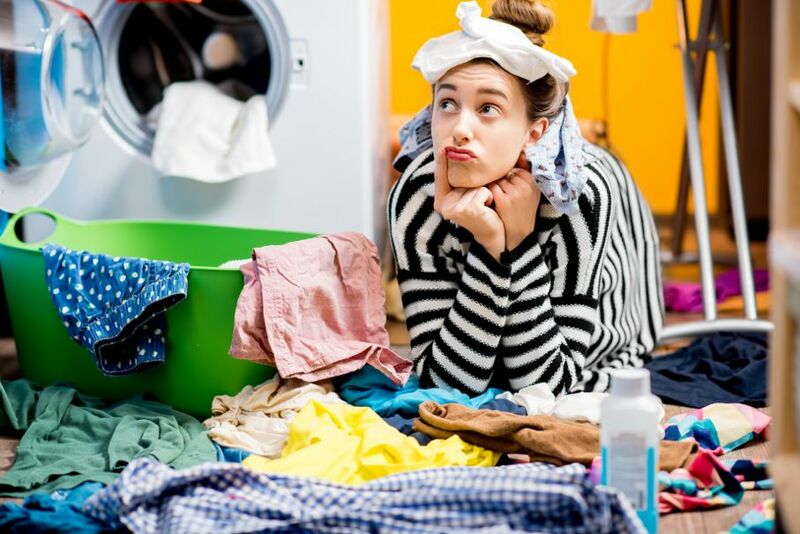 Most of us toss our dirty clothes in the hamper and sort the loads as we start the washing process. A great way to streamline laundry is to turn these two steps into one. By providing hampers or baskets for different types of wash (i.e. whites, colors, and delicates), you can presort your clothes as you take them off, and the loads are ready for the washing machine. 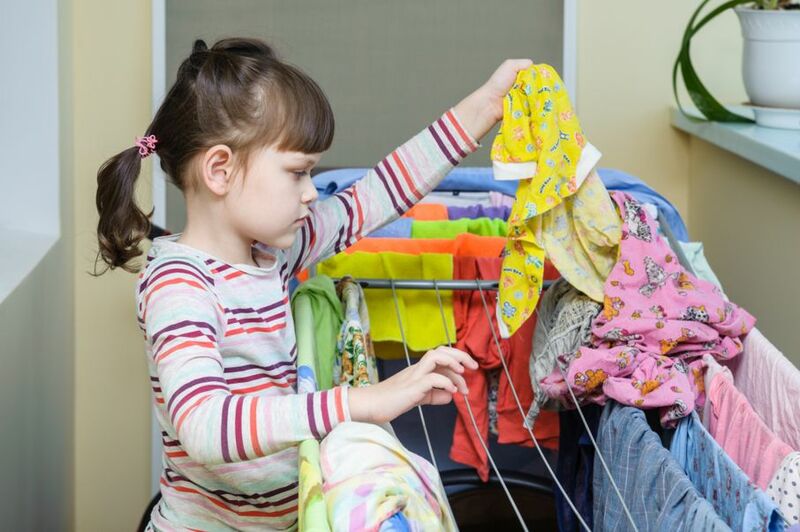 Adding another tiny step to this process will make the final act of folding and hanging easier as well: When you take off your clothes, before putting them in the hamper, if they're inside-out, turn them rightside-out again. Now you won't have to do that after you clean a load. How many of us have the infamous sock basket where lone socks long for their mate? Think of all the time wasted rifling through them looking for a matching pair. Sock Clips are an inexpensive solution to such frustration. They're readily available in stores and online, and some come in fun colors. Just have them at hand and clip matching socks together before tossing them in the appropriate sort basket or hamper. 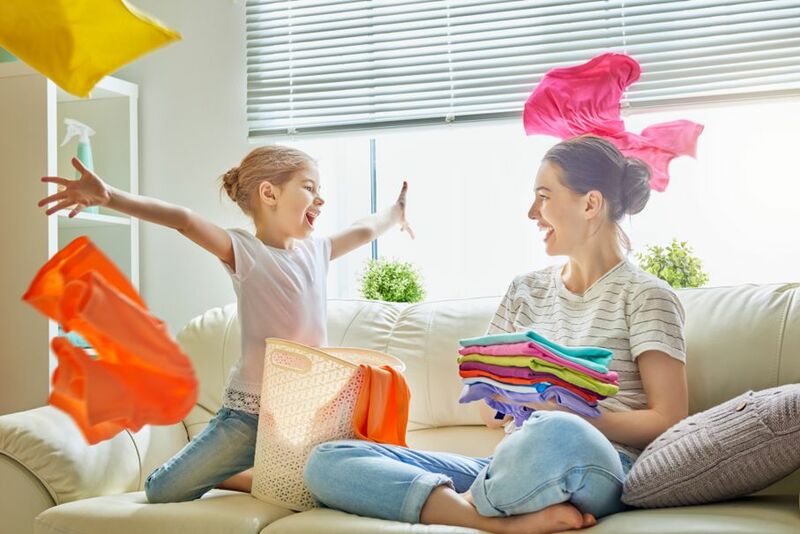 To avoid being overwhelmed when it's time to clean a load of laundry, make sure you don't wait until after the hamper is already overflowing. When one of your sort baskets is full, it's time to do a load. And see your load through to the end. Give yourself a chunk of time to be able to wash, dry, fold, and hang and put away. Leaving clothes in the washer or dryer for another day will defeat the purpose. Make your laundry room your friend, not your dungeon. Create a place that won’t send a wave of dismay when you turn on the light. You can get some great tips about organizing and brightening up your laundry room right here on House Tipster. Something to have in the laundry room scheme that will assist you in establishing an efficient system is a supply of hangers and a drying rack. The rack will provide an immediate option for hanging items that can’t go into the dryer. Pulling out items from the dryer and hanging them right away will eliminate wrinkling, and immediately organize them. When moving your laundry from washer to dryer, separate and untwist items to promote faster drying and prevent wrinkles. A quick shake of a garment before placing it in the dryer or hanging to dry will help to prevent wrinkles. If this step gives you anxiety, is it because there’s nowhere to go with your clean, dry items? This might also be a good time to purge your drawers and closets of what you no longer use or need. Having lots of great space to place your nicely folded clothes will increase the effectiveness of your new laundry habits. Your new laundry organization will flow over into other parts of your life. One additional step at the end of your laundry drill will expedite your morning routine. Taking time to organize what you will wear for each day while hanging and folding will have save you from having to pull things together in the morning. Place all the pieces of a day’s outfit on one hanger -- even socks -- and hang it in your closet. You can also fold them together and place in your newly clean drawers. A little more time in the laundry room will save you a lot more time throughout your week. This can be a great opportunity to get all hands on deck at your house. Even little kids can be taught to sort their clothes into different baskets and hook socks together with brightly-colored clips. Having their clothes organized into daily outfits and placed where they can reach them assists kids in getting themselves ready in the morning and saves you time. Taking control of your laundry will lighten your load not just in the laundry room, but throughout your entire house!